Autel’s MaxiSys ADAS Calibration software is specifically designed to assist drivers to prevent collisions by displaying alerts, providing camera images or by taking instantaneous control of the vehicle. 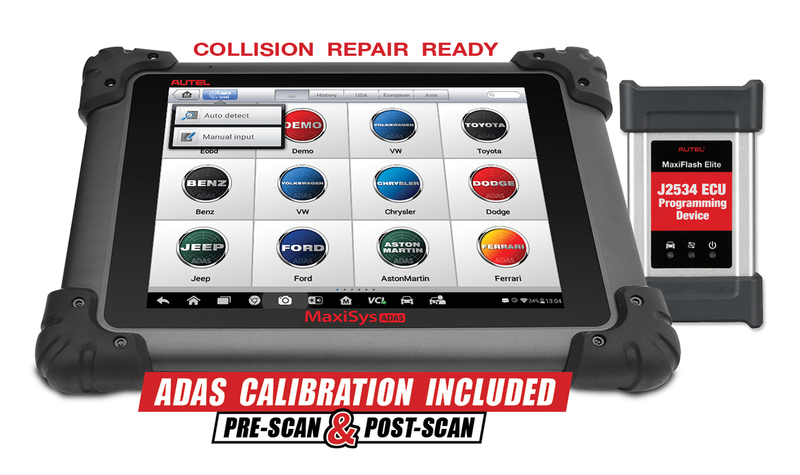 MaxiSys ADAS is the latest example of Autel’s determination to provide its users with superior and technology driven tools, software, and services designed to repair the complex systems that are incorporated in today’s automobiles. Autel’s ADAS technician inspired software provides multifunctional OE level diagnostics and calibrations for expansive vehicle coverage with millimeter accuracy. 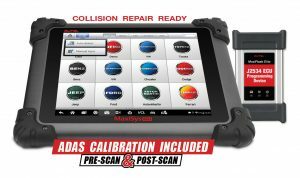 Graphical and step by step instructions and how-to videos provide guided precision for technicians to use Autel ADAS correctly and calibrate successfully so that the vehicle is restored to the right status. MaxiSys ADAS, flexible, precise and easy to use. Learn more features and benefits. Click here to Contact Your Local Tools & Equipment Representative!